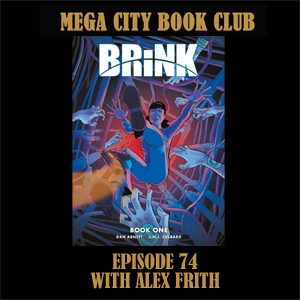 Good discussion on 'Brink'- agree wholeheartedly with your comments. In fact i think it may be the first time 2000ad has successfully done a proper hard-sf outer-space set strip, regardless of the genre-bending hints. I do think that the design elements of the strip are interesting- the hard-SF look and colour pallets hearken back to lots of late 60s/70s SF like Space 1999, Silent Running etc. Cheers, Nathan. Absolutely agree about the 70s sci-fi appeal of Brink.